No pictures found for plate number ISUDZ in Illinois, United States. click here to add a picture. No videos found for plate number ISUDZ in Illinois, United States. click here to add a video. No owners found for plate number ISUDZ in Illinois, United States. click here to add an owner. 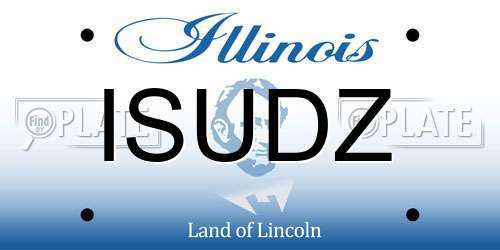 No related websites found for plate number ISUDZ in Illinois, United States. click here to add a related website. Mazda North American Operations (Mazda) is recalling certain model year 2010-2013 Mazda3 and Mazdaspeed3 vehicles manufactured November 18, 2008, to June 8, 2013, 2012-2015 Mazda5 vehicles manufactured October 26, 2010, to June 22, 2015, 2016 CX-3 vehicles manufactured June 1, 2015, to December 26, 2015, and 2013-2016 CX-5 vehicles manufactured December 15, 2011, to December 26, 2015. On the affected vehicles, the lift gate support struts may corrode, possibly causing the struts to break and/or the lift gate to drop unexpectedly. If the lift gate falls unexpectedly, it may hit the user, increasing their risk of injury. Mazda dealers will replace the both lift gate supports, free of charge, however parts are not currently available. The recall began April 2017. Owners may contact Mazda customer service at 1-800-222-5500. Mazda's number for this recall is 9916H. Mazda North American Operations (Mazda) is recalling certain model year 2016 CX-3 vehicles manufactured June 1, 2015, to December 2, 2015, 2013-2014 Mazda2 vehicles manufactured July 3, 2013, to August 8, 2014, 2014-2016 CX-5 vehicles manufactured January 19, 2013, to December 2, 2015, and 2013-2015 CX-9 vehicles manufactured December 6, 2012, to July 31, 2015. The lower mounting nuts and bolts that attach the front strut assembly to the steering knuckle may loosen, allowing the steering knuckle to separate. If the steering knuckle separates from the strut assembly, it can cause a loss of steering control, increasing the risk of a crash. Mazda will notify owners, and dealers will inspect the lower mounting nuts and bolts that secure the front strut assembly to the steering knuckle. If the bolts are loose, they will be replaced and then correctly tightened, free of charge. The recall is expected to begin May 20, 2016. Owners may contact Mazda customer service at 1-800-222-5500. Mazda's number for this recall is 9316D. 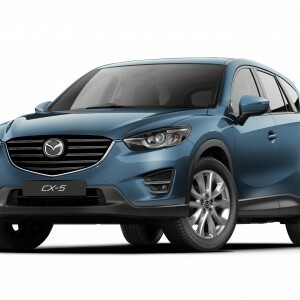 Mazda North American Operations (Mazda) is recalling certain model year 2014-2016 Mazda CX-5 vehicles manufactured June 27, 2013, to February 2, 2016. The affected vehicles have a fuel filler pipe that may rupture in the event of a crash. As such, these vehicles fail to comply with the requirements of Federal Motor Vehicle Safety Standard (FMVSS) number 301, "Fuel System Integrity." A rupture of the fuel filler pipe may result in a fuel leak, increasing the risk of a fire. Mazda will notify owners, and dealers will alter the attachment between the fuel filler pipe and the left rear side of the bracket of the fuel filler pipe, free of charge. The recall began on February 25, 2016. Owners may contact Mazda customer service at 1-800-222-5500, option 6. Mazda's number for this recall is 9216B. Pilkington North America, Inc. (Pilkington) is recalling certain replacement windshields, model FW04026 GTY, manufactured November 23, 2015, to December 16, 2015 for use in Mazda CX-5 vehicles that are equipped with the Smart City Brake Support system. The affected windshields have a bracket mounted on the inside to hold a laser sensor or LIDAR device for the Smart City Brake Support system. These brackets were improperly affixed with only tape instead of tape and urethane and therefore may loosen. If the bracket loosens or detaches from the windshield, the safety features of the Smart City Brake Support system may be disabled and therefore increase the risk of a crash. Pilkington will contact the wholesalers and retailers that purchased the windshields to try to identify the affected customers. The affected windshields will be replaced, free of charge. This recall began on February 15, 2016. Owners may contact Pilkington at 1-844-278-7230.